Here are a few destinations that are perfect for family fun — plus tips on how to stay sane in the car, where to stop along the way, and what to do when you reach your destination. WASHINGTON — Pack the snacks and pick the playlist: With summer just a few weeks away, it’s time to start planning your road trips. Parenting and travel writer Guiomar Ochoa shares a few destinations that are perfect for family fun — plus tips on how to stay sane in the car, where to stop along the way, and what to do when you reach your destination. Make sure to download all forms of entertainment — movies, TV shows, music and podcasts — on phones and tablets before you get in the car, in case you run into areas of spotty service. If your journey requires an overnight stop before you reach your destination, make hotel reservations ahead of time. “Especially in the summertime, it’s important to try to find your halfway point before you leave and make a reservation somewhere because a lot of these hotels and motels book up pretty fast,” Ochoa said. Be mentally and physically prepared for traffic. “It can be grueling on all of us, so you just need to prepare yourself for that. And you will find traffic, no matter what route you take — especially if you’re traveling on holiday weekends,” she added. Pack lots of snacks for the car trip. Having something to munch on can help break up boredom. Plus, stocking up on your family’s favorite snacks ahead of time will save money at gas stations along the way. “And lastly, pack lots of patience because you’ll need it,” Ochoa said. 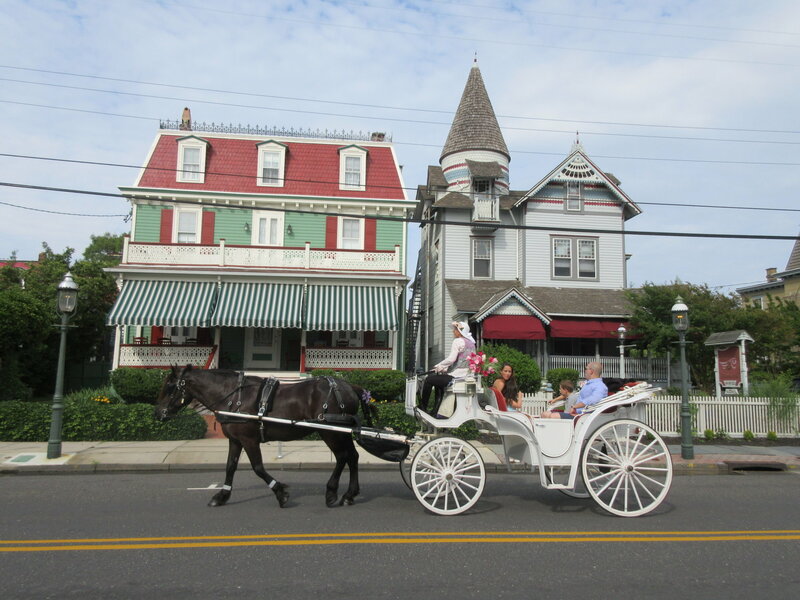 There are a few different ways to get to Cape May, a charming Victorian beach town at the southern tip of New Jersey and one of the oldest vacation resort destinations in the country. One option is to drive north on Interstate 95 to Wilmington, Delaware, and then southeast to the destination. This drive takes about three and a half hours from the D.C. area.